A deeper dive into what is arguably New York City's most diverse set of subsectors. NYC employment reaches 4.5 million for the first time ever(! ); taking a look at the Transportation and Warehousing industry; and bidding adieu to a Sterling host. In our 100th(!) 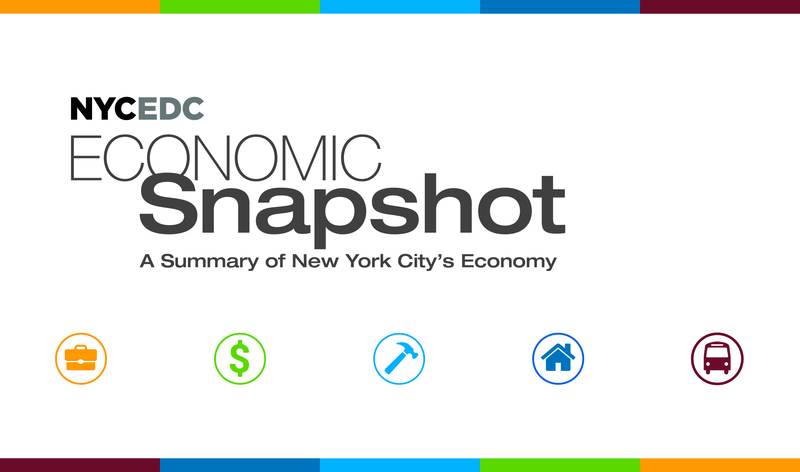 Economic Snapshot podcast: Record-Low Unemployment and an X-Men-Related Megamerger. Josh and Andrew unpack our data gathering process (where DOES the Snapshot come from?) and they take a close look at the Real Estate, Rental, and Leasing Industry. Private sector employment bounces back in May; and we take a look at the city's Arts, Entertainment, & Recreation industry. We take a closer look at the manufacturing industry and discuss NYCxDESIGN, the city’s annual celebration of design. Unemployment remains at a record low and we take a look at New York City's highest-paying industry, Financial Services.